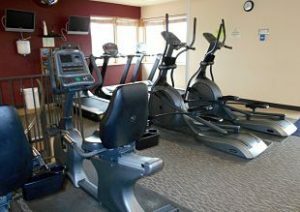 Any Hidden Valley Lake POA member over 16 is eligible to join the HVL Fitness Center. Members with a valid access code may use the facility anytime, 24 hours a day, 7 days a week. 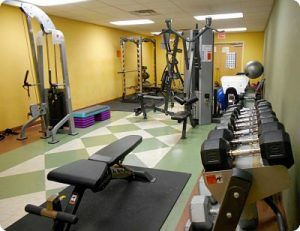 • Complete Fitness Center Membership Application. • Purchase membership at the POA Office during regular business hours. • Guest memberships and 3-month summer student memberships available. • Automatic Bank Withdrawal Plan available for membership payments. • Allow five business days for new membership activation. • Zumba involves dance and aerobic movements performed to energetic music. The choreography incorporates hip hop, soca, samba, salsa, merengue and mambo. Squats and lunges are also included. • Classes vary; see calendar below.